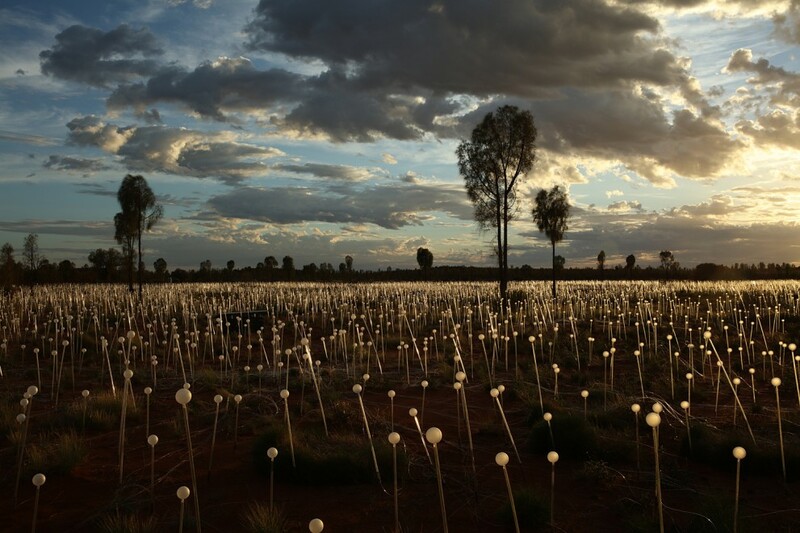 In 1992, journeying to Uluru through the Red Desert in central Australia, Munro felt a compelling connection to the energy, heat and brightness of the desert landscape, which he recorded in his ever present sketchbooks. 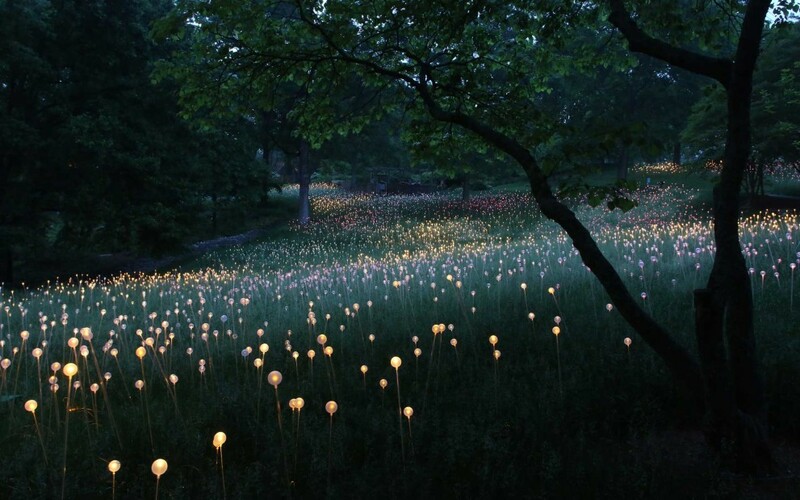 Field of Light is the embodiment of this experience. 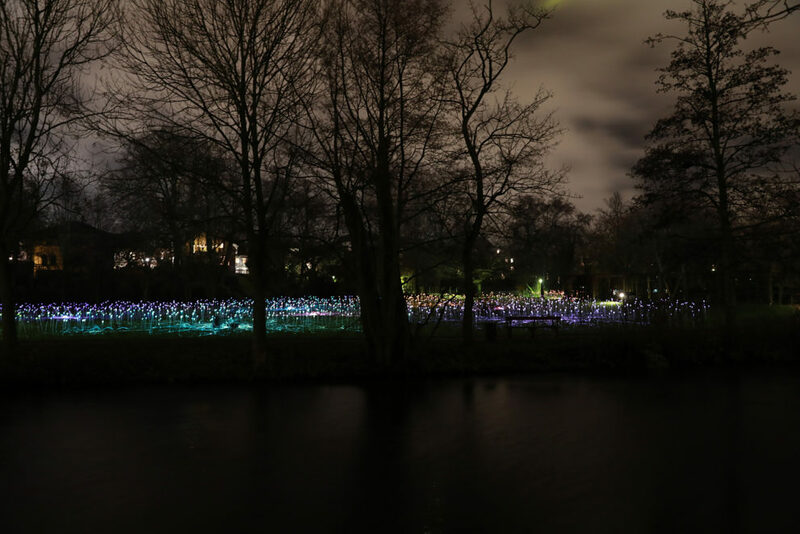 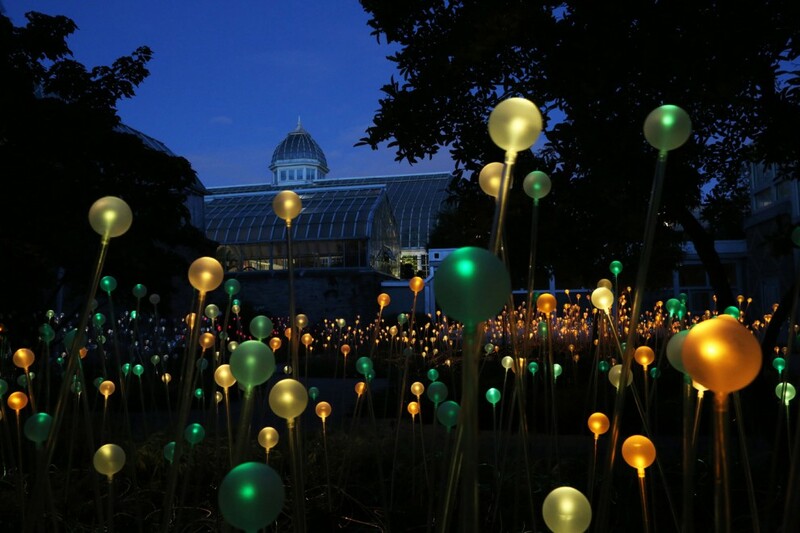 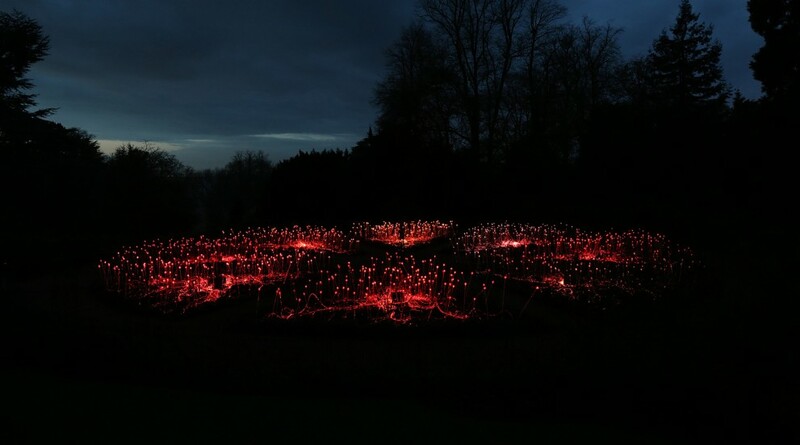 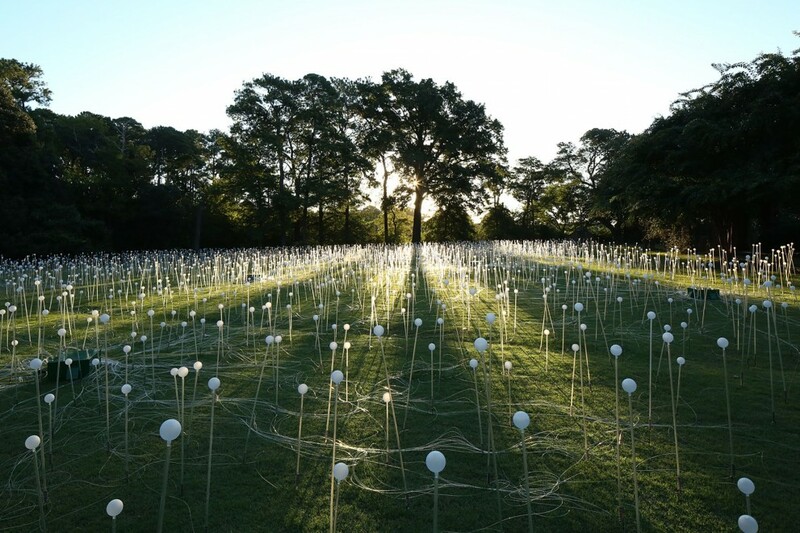 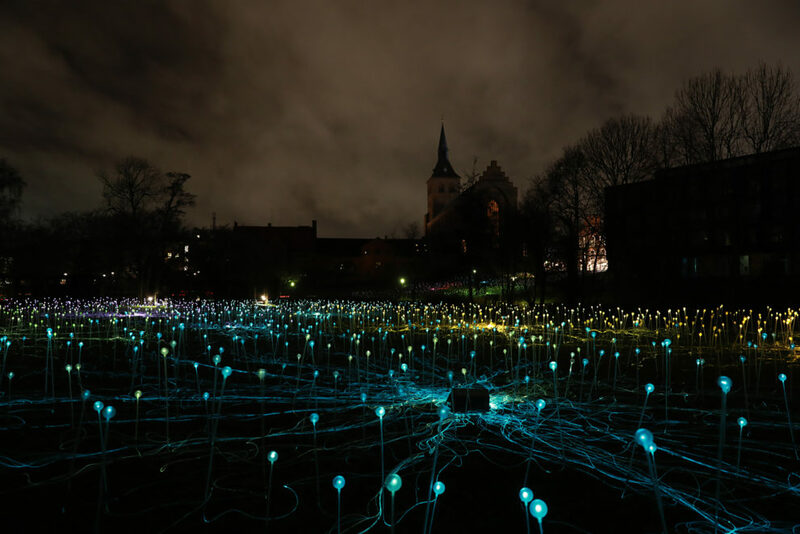 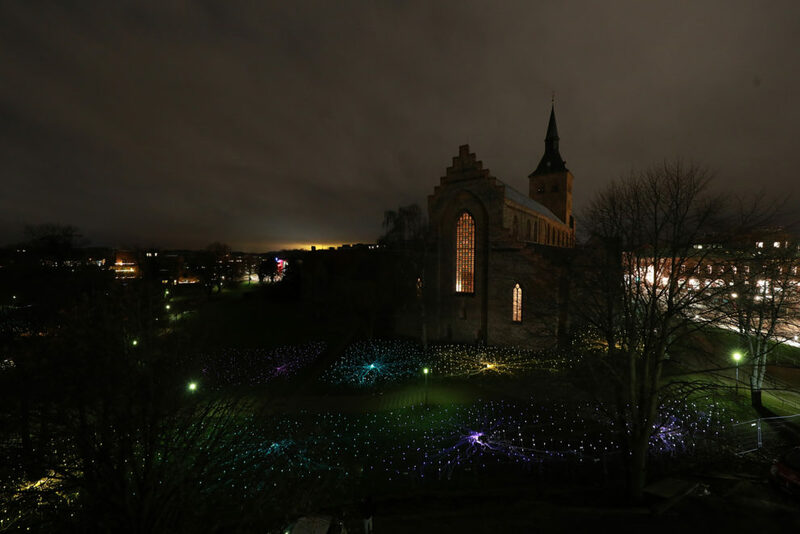 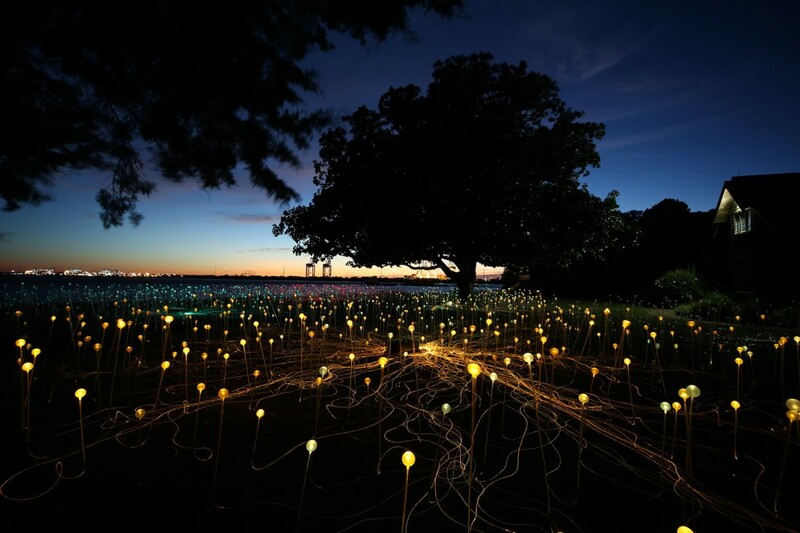 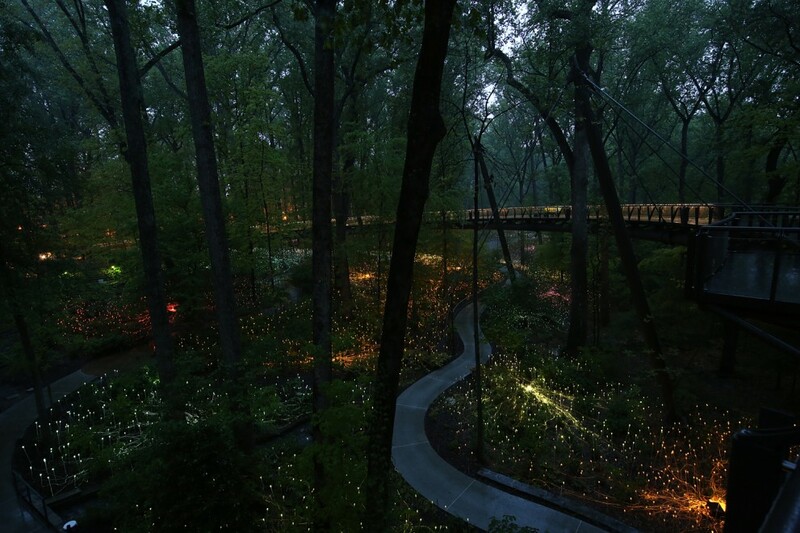 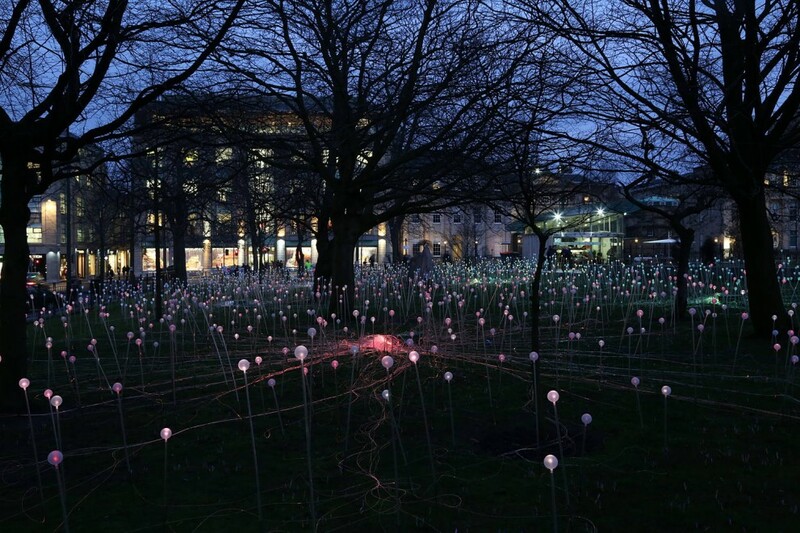 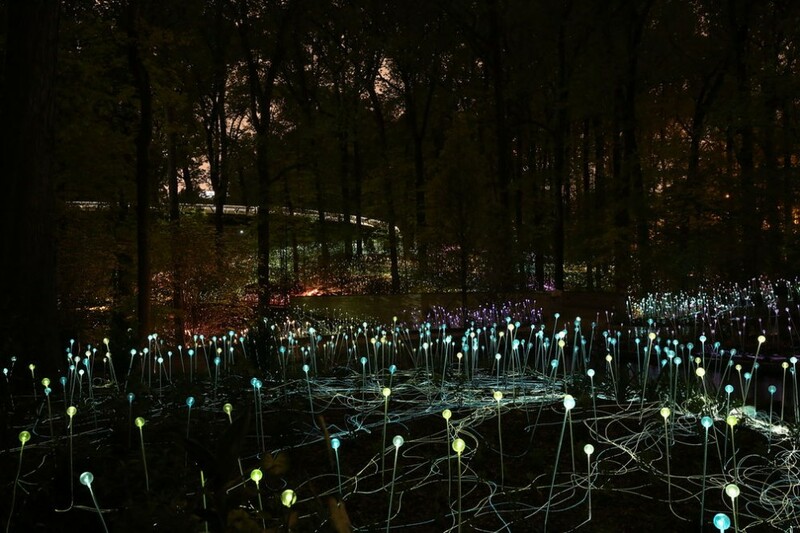 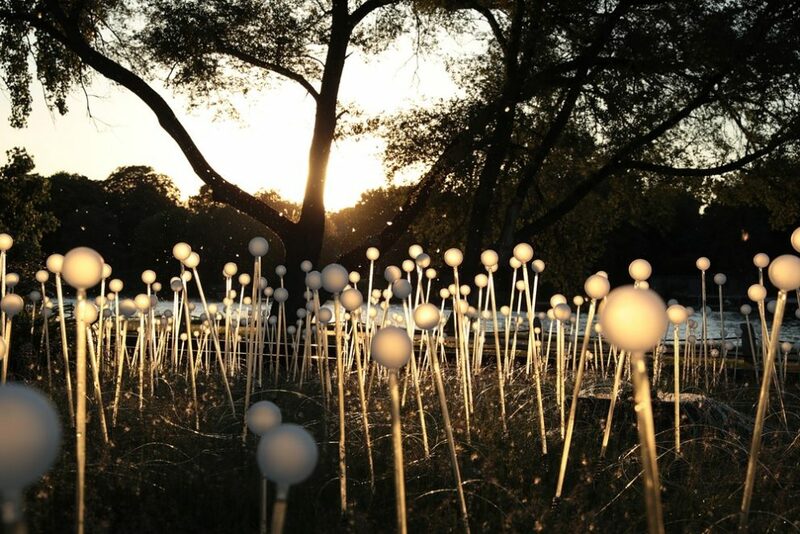 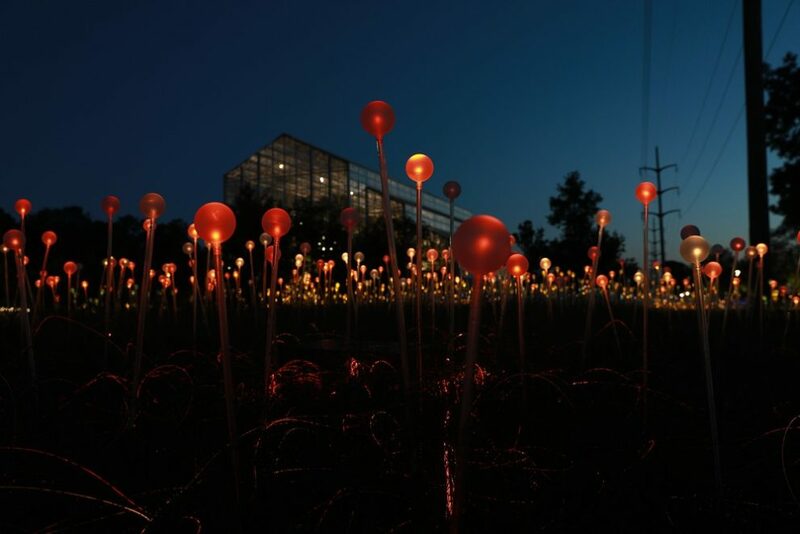 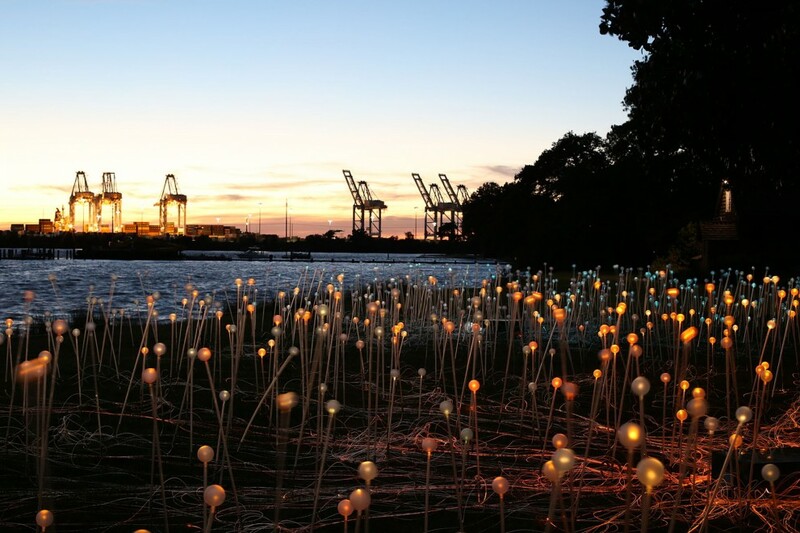 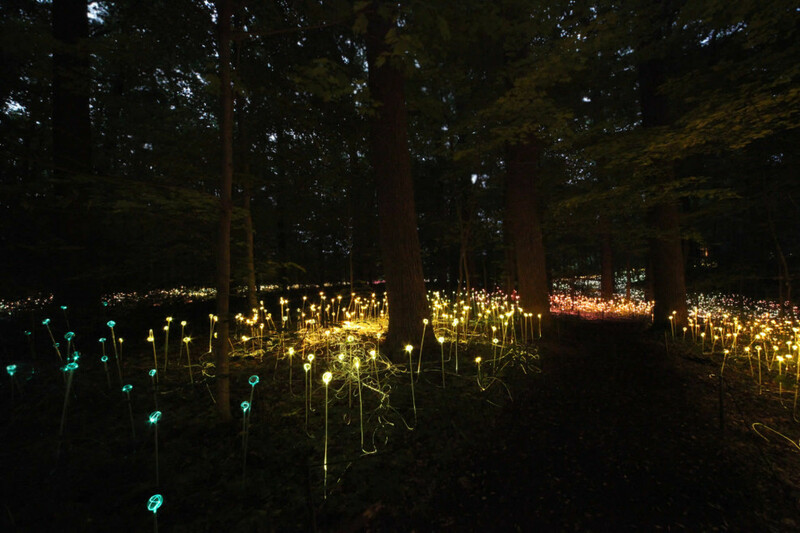 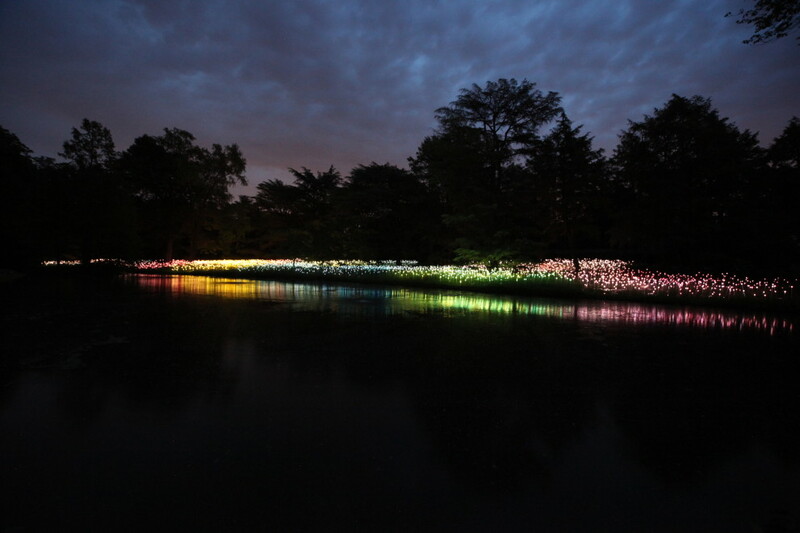 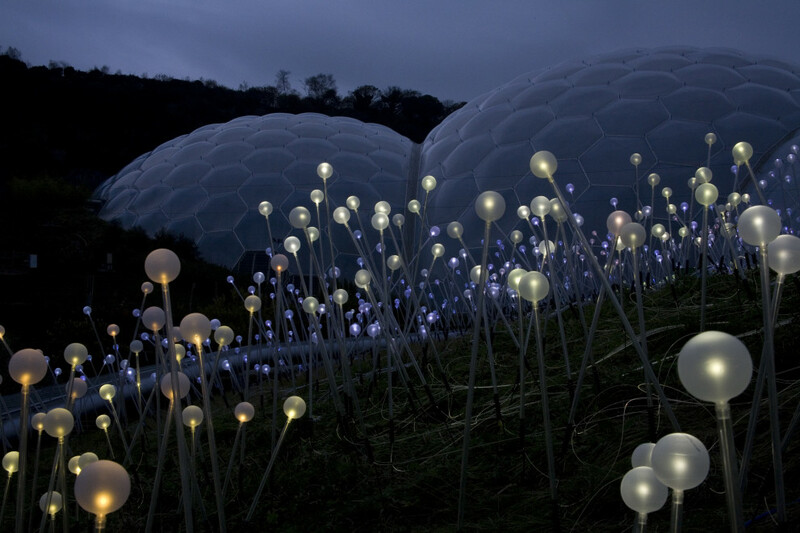 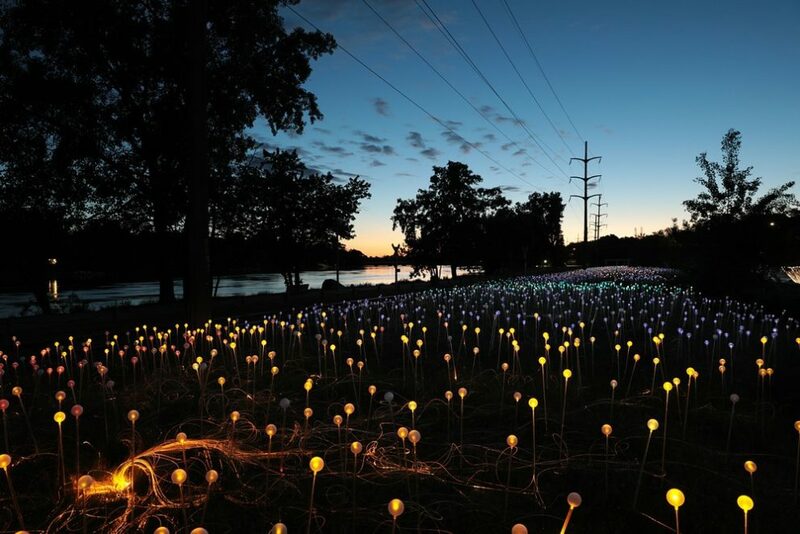 Munro recalls “I wanted to create an illuminated field of stems that, like the dormant seed in a dry desert, would burst into bloom at dusk with gentle rhythms of light under a blazing blanket of stars”. 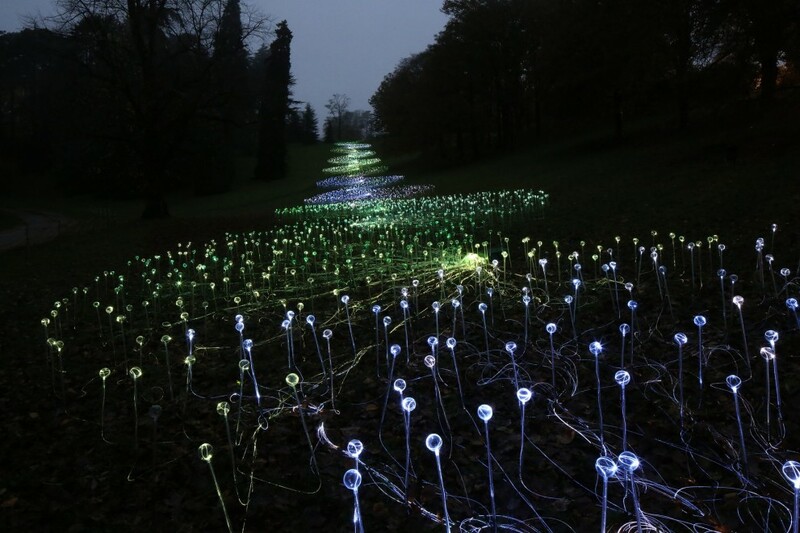 Having developed the idea for over a decade the first Field of Light was created in the field behind his family home in Wiltshire. 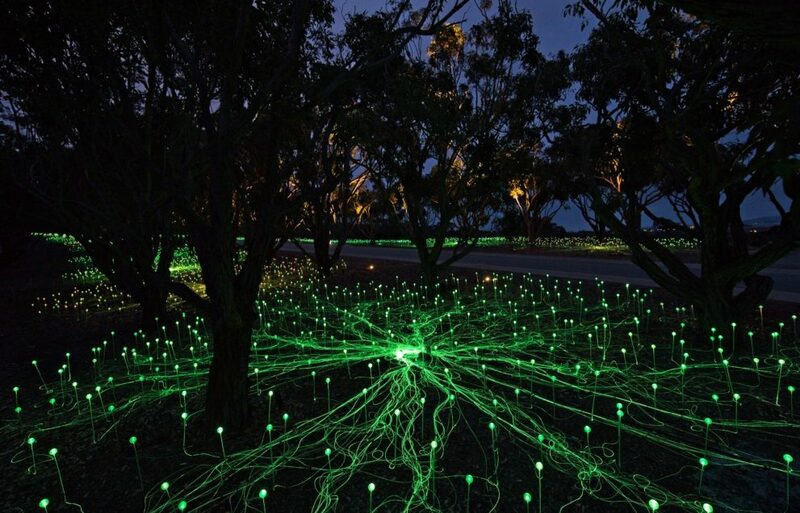 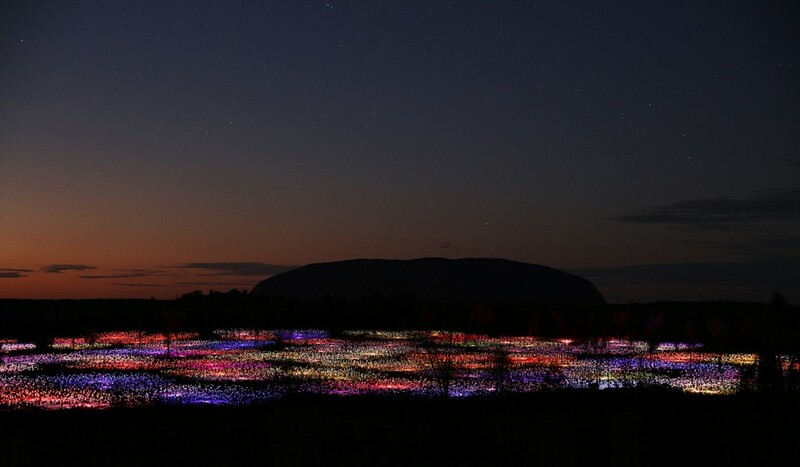 Munro returned to the very space that inspired him, to Uluru in 2016 for the installation of Field of Light. 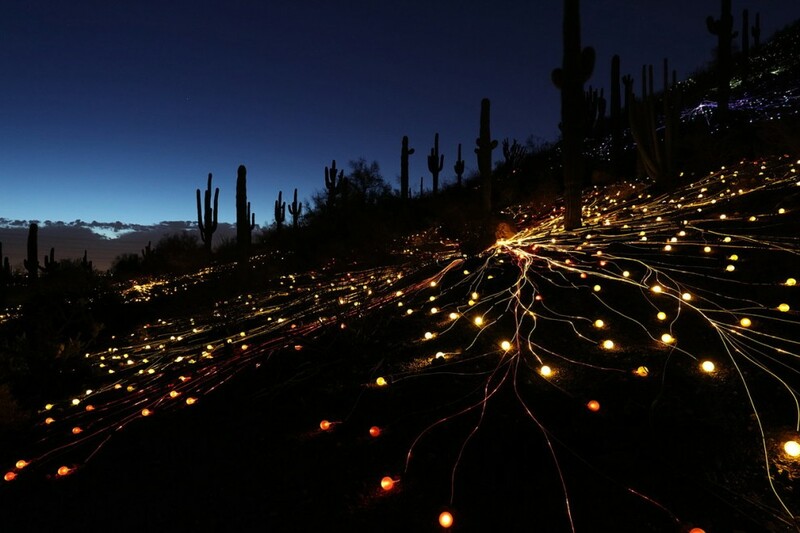 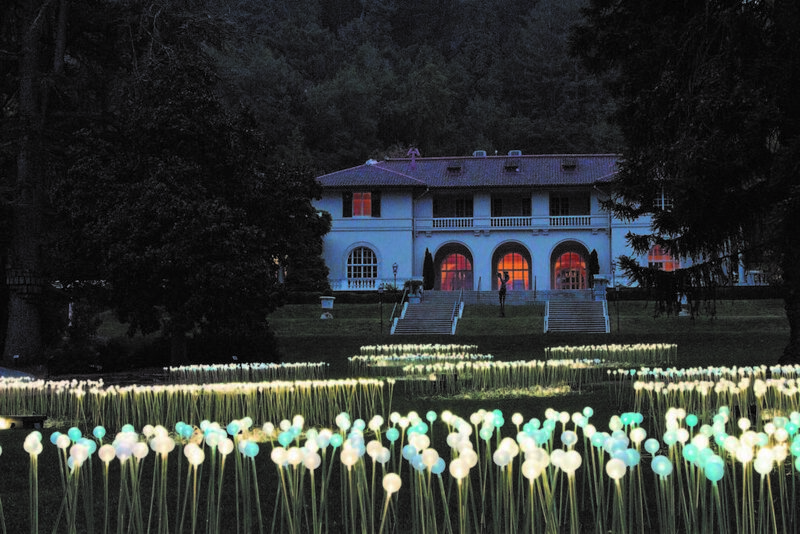 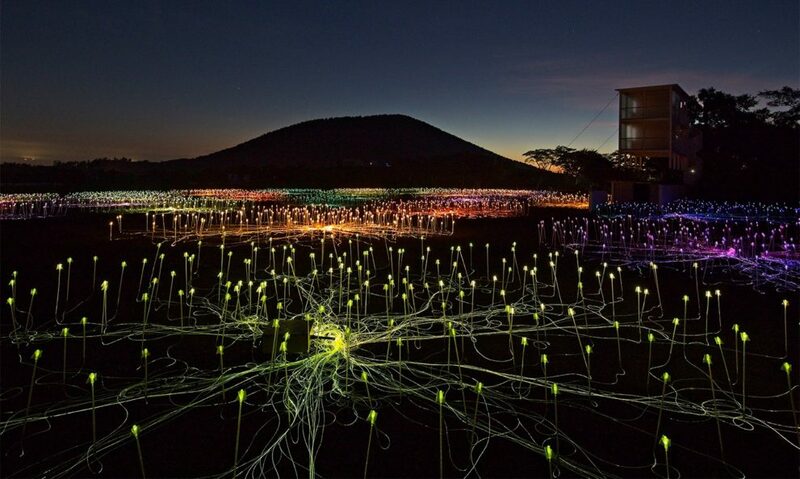 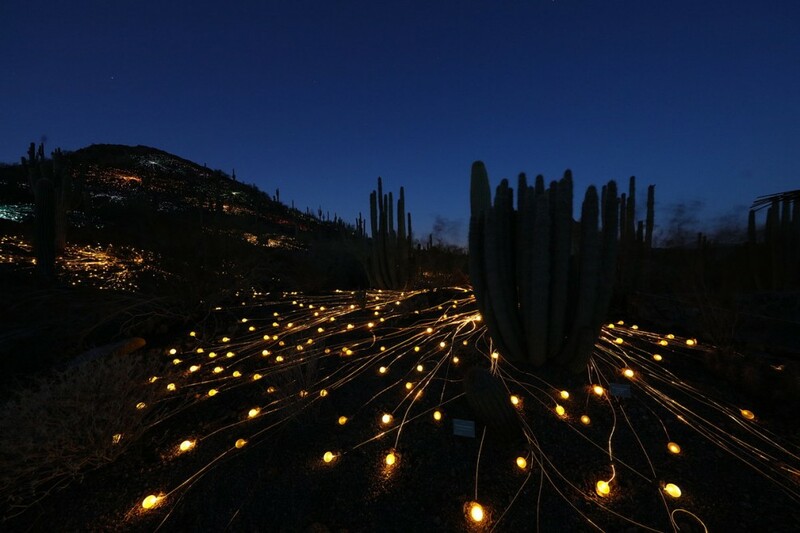 Bruce Munro: Field of Light at Simbionte, Mexico City, Mexico. 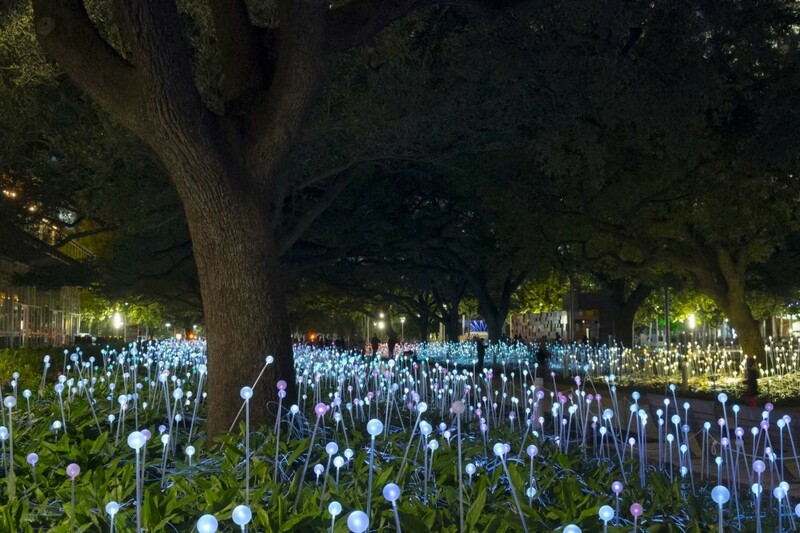 Bruce Munro: Field of Light at Discovery Green, Houston, TX, USA. 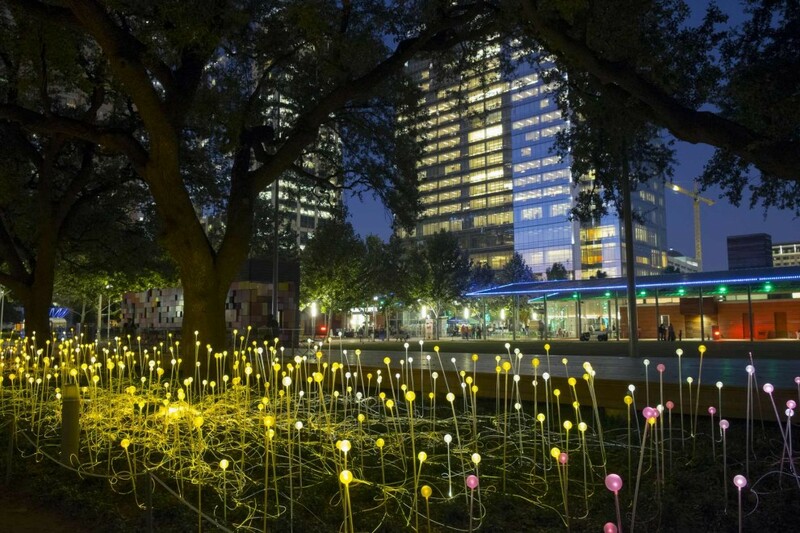 Bruce Munro: Field of Light at Discovery Green, USA. 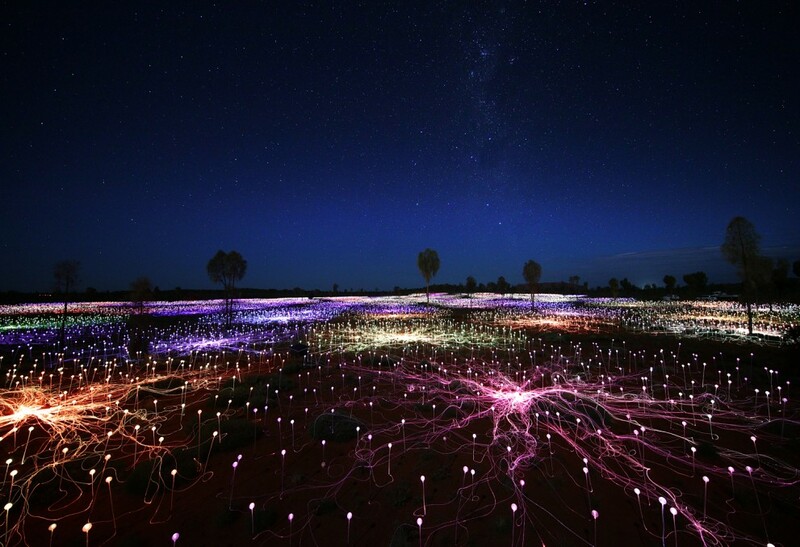 Bruce Munro: Field of Light Uluru, Northern Territory, Australia.